In today’s post we will discuss PEC Army. This is the abbreviation for the Army Professional Education Center located at Camp Robinson in North Little Rock, Arkansas. During my six years in the Maryland Army National Guard I traveled to this installation at least five or six times. I always enjoyed my time there. Compared to most National Guard bases/installations this one is upgraded and user friendly. It’s almost like a small resort. Whenever I traveled there, I always felt like I was going on a short vacation. The weather was great, the accommodations were nice and the local area is beautiful. Best of all, there are plenty of things to do including golf, fishing, a gym, shopping mall, library, chapel and bar (on base) in addition to the local attractions off base. Although most people will not get access to a rental car, there are plenty of shuttles and taxis to transport you on and off base. Strength Maintenance Training Center: This center teaches the Battalion Career Counselor, Recruiting and Retention, Officer Strength Manager Course and much more. Resource Management Training Center: This center teaches Basic Accounting, Fiscal Law, USPFO related courses and more. Organizational Readiness Training Center: They teach Basic Project Management, the Leadership Development Course, Facilitator Course, etc. Non Proponent: These are the maintenance related course, such as M1, M2 and M88 courses. Installations, Logistics and Environmental Training Center: Here you have the Support Operations, Food Service, Facilities Management, Property Book Accounting, ULLS and more. This center appears to have the most amount of courses. Information technology Training Center: This is where you can learn about Oracle, UNIX, programming and web related courses. Human Resources and Readiness Training Center: It offers the Training Officer/NCO, Unit Training NCO, Retirement Counselor, Brigade S1 and many other courses. 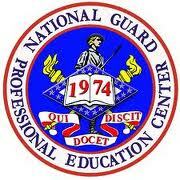 GSC Training Center: It offers the GI Bill, Tuition Assistance, Education Officer and a few other courses. As you can see, there are lots of classes covering a large variety of subjects. They also have a large distance learning program where you can enroll in web-based programs and learn from home. There is one dining facility on base, frequently referred to as Concorde Hall. The food there is pretty good. When I was there it was staffed by contractors. They have a “fast food” lane and a “regular meal” lane. You have lots of choices so you can eat something healthy if you want. The prices are well within the per-diem range. It is open 3 meals per day, 7 days per week. For recreation you can go fishing or golfing. There is also a chapel and shopping mall. When I visited, they even had a bar (in the shopping mall). Most of the places on base are within walking distance. There are also running trails, a nice gym, and a library. If I could encourage you to do one thing, I would tell you to GET OUT OF YOUR ROOM and check the place out. There’s plenty to see. And if you are adventurous, there are plenty of nice places in the local community too. In most cases, students would stay in one of the three residence halls which are Patriot Hall, Independence Hall and Liberty Hall. Most of the rooms are single rooms. They have Internet access (in some rooms, or in the common areas). They are clean and well kept. Best of all, they are close to the classrooms so you can walk to class each morning. In some rare cases (especially during conferences) the billets might be full. In that event, you might need to get a hotel room instead of staying on base. The base has shuttles to take you in town and also has a list of hotels that offer rooms at the per-diem rate. In most cases, the trip from the hotel to PEC is about a 10 minute drive. Normally, you can call and have the shuttle come pick you up too and take you to and from class each day. In summary, the Army PEC (Professional Education Center) at Camp Robinson in North Little Rock, Arkansas is a world-class training installation. They offer a wide range of courses for Army National Guard AGR and M-Day Soldiers, as well as Government Civilians. The accommodations are nice, the training is wonderful and the local area is beautiful. If you’ve ever spent any time at PEC, I would love to hear your story. Please tell us when you went, what classes you attended and what your experience was like. Just leave a comment to share your thoughts. Also, if you have any questions about attending PEC, just ask below and I will do my best to provide an answer. I LOVE PEC!! I would go back over and over again. The instructors are fantastic, the campus has everything you need, and we are well taken care of. I enjoyed my time at PEC and would not hesitate to go back. I always had a great time there too, Candace. Wow, it does sound like a great institution. It must be tempting to go there and just enjoy it as a vacation, but I think you’re right that it’s important to get out and take advantage of everything that’s on offer there. So many world-class training opportunities, and it makes sense to do as much as you can. The Leadership Development Course sounds wonderful. PEC is a great base. I never get tired of going there. It is interesting to hear a different perspective about an Army post. I’ve always found that the posts are like miniature cities within themselves and as such they vary, just as civilian cities do. This sounds like a lovely post and a wonderful training area. Overall a very thoughtful description. You’re right, Laura. Most bases are like a min-city. Every post is different. I’ve been to about 20 different posts/bases during my career and they were all very different from each other. PEC is a great “National Guard” base with lots to do. I always enjoyed my time there. I’ve never been there myself, although the Louisiana Army National Guard sends plenty of people through the facility. AGR personnel go for personnel and administration training as needed, the sniper course is taught there, and those who need to transfer to the 11B MOS go to the 11B MOSQ course. I’ve heard lots of those guys complain about the hills, but then south Louisiana is about as flat as it gets. If you get the chance to go to PEC in North Little Rock, you should definitely go, Daniel. I know you will enjoy it. I’ve been to the Professional Education Center four different times now. I agree with you. It’s like a little resort. The facilities are great. The instructors are always well prepared and the classes are good. I always look forward to my military schools at PEC. Thanks for the comment, Jane. I’ve been to the Professional Education Center many times myself too and I love it!